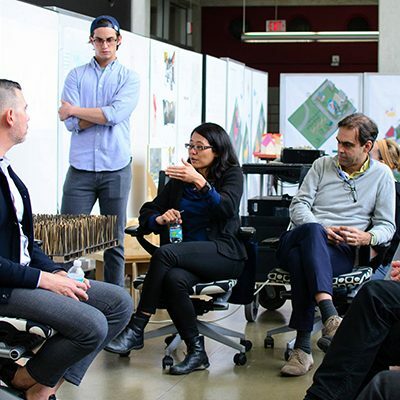 M.Arch+MUP is an opportunity for students to simultaneously earn two professional degrees: Master of Architecture and Master of Urban Planning. 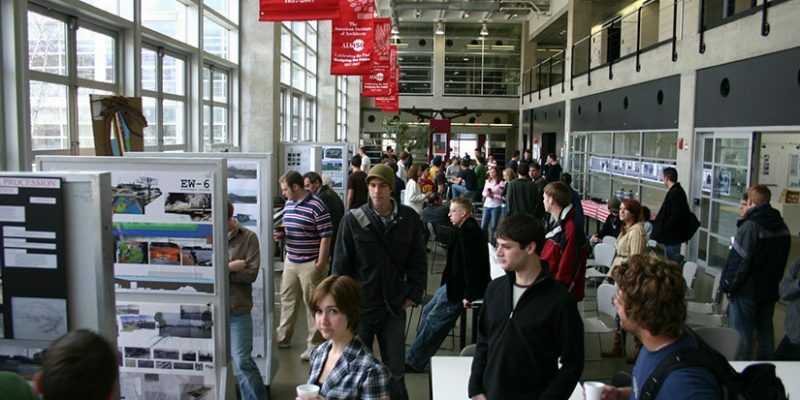 Completing requirements for both degrees, students are prepared for professional careers in both urban planning and architecture. Coordinating the course sequences allows students to complete both degrees one year sooner than required if both degrees were completed separately. Length of the program depends on student’s previous academic background. For students with an undergraduate major in architecture this would be 3 years, rather than 4. For students with an undergraduate major other than architecture, this would be 4 years, rather than 5. The Master of Architecture (M.Arch) degree is an approved field of study within the U.S. government’s official STEM fields list. There are many reasons—practical, historical, and theoretical —why a combined study of architecture and urban planning is both intellectually and professionally beneficial. Practically, students with expertise in both architecture and planning are highly marketable, as they bridge two complementary disciplines. M.Arch+MUP graduates are able to choose the direction of their careers, depending on personal inclination and opportunities. Graduates may choose to work at the building scale in a conventional architectural firm, work at the neighborhood, city or regional scales in a public planning office or private consulting group, work in real estate or project development, or work in an urban design consulting group. Whatever direction the graduate chooses, they will come into contact with issues that cross the fuzzy line between planning and architecture. Students in the M.Arch+MUP will be required to learn both urban planning theory and architecture theory. In doing so, these students will have the advantage of understanding the differences and the overlaps. Historically, there has been a link between building design and the form and function of city environments since the earliest human settlements. Ancient sites from Aztec, Egyptian, and Mesopotamian civilizations and the history of the Indus Valley show attempts to establish order, function, and symbol meaning through the composition of city form and the placement and design of buildings. The growth of cities in the 19th Century in America and places throughout the world led to increasingly complex understandings of the relationship between building design and city function with an emphasis on the quality of urban life. Theoretically, the relationship between urban planning and architecture becomes very complex in contemporary times. There remains much overlap between architecture and planning. But in a conventional sense theories of planning and theories of architecture tend to go in different and specialized directions. In general planning theories tend toward the macro scale, larger populations—ranging from neighborhoods to regions—and conceives of intricate relationships between history, demographics, politics, economics, social interactions, and community context. Architecture theories tend toward the human scale, focusing on individual experience and building occupant groups.